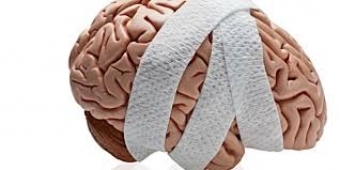 Startling numbers, and the more research we do, and more diagnoses of things like "concussions" (aka mild Traumatic Brain Injury - mTBI), it is no wonder that traumatic brain injuries ARE a leading cause of death. Is the importance and society impact becoming real yet to you? Here are some more stats to drive the point home that Traumatic Brain Injuries (TBI) are no joke, and unfortunately not going away. Here is a link to Brain Injury Canada, to read more personal stories and stats. Our physiotherapy team are well versed and actively treat concussion symptoms, whether the acute/new stage, to delayed symptoms, to chronic impact mTBI can have on your function, participation, and performance. We look forward to helping you get active, and feel great! https://www.braininjurycanada.ca/category/brain-injury-awareness-month/; accessed June 19, 2018. Canadian Institute for Health Information, Head Injuries in Canada: A Decade of Change (1994–1995 to 2003–2004). Hyder, Adnan A., Wunderlich, Colleen A., Puvanachandra, Prasanthi, Gururaj, G., and Kobusingye, Olive C. "The impact of traumatic brain injuries: A global perspective." Neurorehabilitation 22, no. 5 (December 7, 2007): at 341. Neurological Health Charities Canada et al, Mapping Collections: An Understanding of Neurological Conditions in Canada, (Ottawa: Public Health Agency of Canada, 2014) at 66.